DC maxi-series Camelot 3000 was one of my favourite titles during the 1980s. 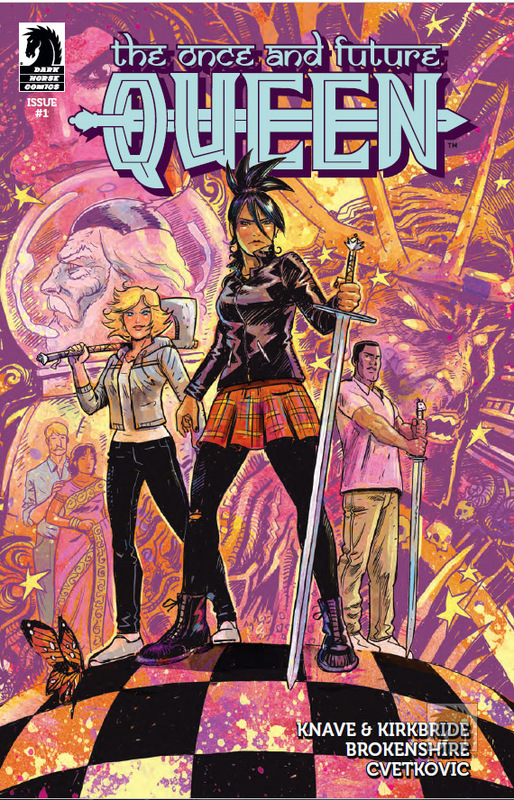 There are shades of that classic tale in Once And Future Queen, the first issue of which was released this week. Most notably, the Arthurian myth is transported to the modern-day and there's some gender-bending going on, most notably King Arthur is now an arse-kicking, chess-playing (!) chick. Merlin as a helmet-wearing astronaut only adds to the quirkiness. The script by Knave and Kirkbride is still hitting its stride by the time the first instalment ends, but I feel confident it's going to be a quirky, fun ride for the rest of this five-issue mini-series. Brokenshire's art is a joy to behold. This comic could be the sleeper hit of 2017. Once And Future Queen #1 is published by Dark Horse and is on sale RIGHT NOW.